Every day, a wide range of physical and psychological stressors — a demanding job, raising a family, relationship dynamics, lack of sleep, financial pressures, suboptimal nutrition, dieting, unresolved emotional distress — signal the adrenal glands to produce stress hormones, such as adrenaline and cortisol. The stress response is well characterised as the “flight or fight” response, and is highly variable between individuals. Stress is the way the body responds to an external or internal influence (a stressor). A stressor can be either positive or negative. For example: a feeling of fear if you are chased by a ferocious dog or excitement when winning the lottery. Regardless of why you are stressed your body responds in the same way. 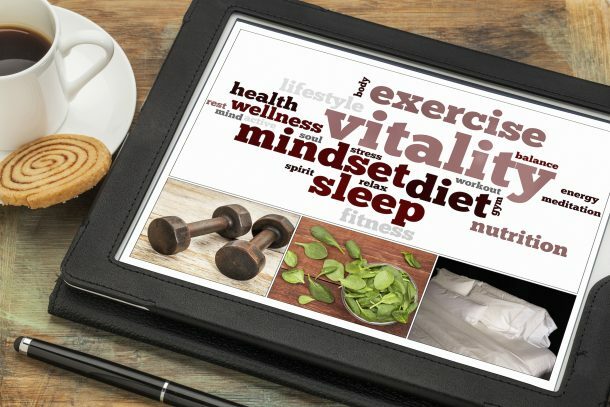 There is no one-size-fits-all approach to stress management strategies, and why we need to develop individual treatment strategies based on the patients presentation, their lifestyle and their own health goals. Normal healthy stress responses are beneficial to mental and physical health; it challenges us, encourages change, creates adaptation and makes us stronger, both emotionally and biochemically. It is important for ‘survival’ that our bodies produce the stress response known as the fight or flight reaction. When we are stressed our bodies produce a hormone called adrenaline which makes us experience most of the emotional and physical feelings when we are distressed. In the days of the caveman these responses made sure that we knew what to do to survive if we came face to face with a sabre toothed tiger or a woolly mammoth. These days, the stress response allows us to cope in the modern environment. Certain levels of stress can be motivating, allowing us to achieve and succeed. The goal is to limit the harmful effects of stress while maintaining vitality. CONSTANT OR HIGH STRESS IS NOT! However, when faced with extraordinary stress or under constant stress, without adequate recovery, the stress response can become over-stretched and predispose to physiological and neurological changes, leading to the major chronic pathologies of modern life, including neurological imbalances, insulin resistance, endocrine disturbances and immune suppression. WHAT ARE THE STAGES OF STRESS? The first stage of the stress response and is called the Fight or Flight Response. The adrenal gland releases adrenaline which allows us to respond immediately when under threat or pressure. In ancient times the exercise undertaken while fighting or fleeing the mammoth would neutralise the adrenaline that causes the flight or flight response. However, nowadays the need to fight or flee rarely occurs so the effects of stress build up, leading to the second stage of the stress response – the Resistance phase occurs when the stress is ongoing. Adrenaline is replaced by cortisol which maintain the body’s state of readiness. When our adrenal glands are required to chronically sustain high cortisol levels, they eventually become impaired in their ability to respond appropriately. The resulting adrenal dysfunction not only affects short-term response to stress, but the adrenals’ ability to produce and balance other hormones crucial to long-term health and well-being: DHEA, oestrogen, progesterone, and testosterone. The Exhaustion phase is reached when the body can no longer sustain the stress response. Constant exposure to the stress hormones drains the body of energy and the onset of serious diseases may begin. Cardiovascular symptoms: Palpitations, clammy palms. Digestive dysfunction: Digestive cramping, irritable bowel syndrome, food intolerances, hypochlorhydria. Metabolic dysfunctions: insulin resistance, obesity. Musculoskeletal disorders: Muscular tension (eg: shoulders), tension headaches. Other common presenting signs and symptoms: declining vision and/or hearing, fatigue, loss of skin elasticity. Practice Meditation, yoga, guided visualisation and/or breathing techniques. Set boundaries in relationships, families and work. Get support from friends, family, colleagues. Assign “time-to-fret” then get on with day to day activities with enthusiasm. Take regular work breaks throughout the day. Take weekend or holidays away from obligations and worries to gain a fresh perspective. Make a smoking cessation plan for currently smoking patients. Emphasise foods high in essential fatty acids such as oily fish and nuts / seeds. Eat a minimally processed diet rich in antioxidants, phytonutrients and bioflavonoids. Protein is essential for connective tissue support, and should be consumed regularly. Nutrients to support digestive health including fibre and yoghurt should be consumed. Minimise intake of caffeine, alcohol and salt. Nutritional and Herbal Support: Optimal stress management is dependent on optimal adrenal function. There are several key nutrients required by the adrenal glands: Vitamin C, Vitamin B 5, Vitamin B 6, Zinc and Magnesium. Adaptogens – these are herbs that have a normalising action on the body. They help the body cope with stress, may improve immune function, support the adrenal glands (the organs that pump the stress hormones into the body) and may increase mental alertness. Adaptogens such as Siberian ginseng, Panax ginseng or Withania may be used. Liver Herbs – when under stress you’re more likely to smoke, drink and eat poorly. As well, excess hormones stress the liver so in chronic stress it’s a good idea to include liver herbs in a supplementation regime. These herbs may include Milk Thistle, Schisandra (also an adaptogen) or Globe Artichoke. Sedatives and Carminatives – these herbs help calm the nervous system, settle anxiety and induce sleep. Such herbs include Chamomile, Kava-kava, Passion Flower and Hops. If you feel chronically tense, anxious and nervous and have persistent versions of any of the symptoms listed below, you should seek professional help. Consult your practitioner before embarking on a ‘stress buster’ regime for the most appropriate choice of herbs and supplementation and to ensure the safety of application. Our Stress Less Programme will assist you in reducing or eliminating your stress symptoms – physically and mentally. We aim to address the underlying causes and risk factors of stress and or adrenal fatigue. The first appointment is 45 minutes to 1 hour in duration and is for Fact Finding – finding out the underlying physical, environmental and mental causes of your stress. This includes you completing a generic health questionnaire before you come in. Once we have discussed your individual requirements we will do relevant tests in the practise such as zinc tally test, urinary indicans testing, PH test, ABO blood type testing, blood sugar levels and blood pressure, weight and body composition. We may also arrange external tests such as blood tests, DNA Gene Testing, allergy and intolerance hair tests. Note: depending on the severity of your symptoms and the tests we need to do, we may need to arrange a separate half hour testing consultation. The second appointment typically 30 minutes long is for your Report of Findings where I will explain in detail what is going on for you and outline the Stress Less treatment plan and protocol.